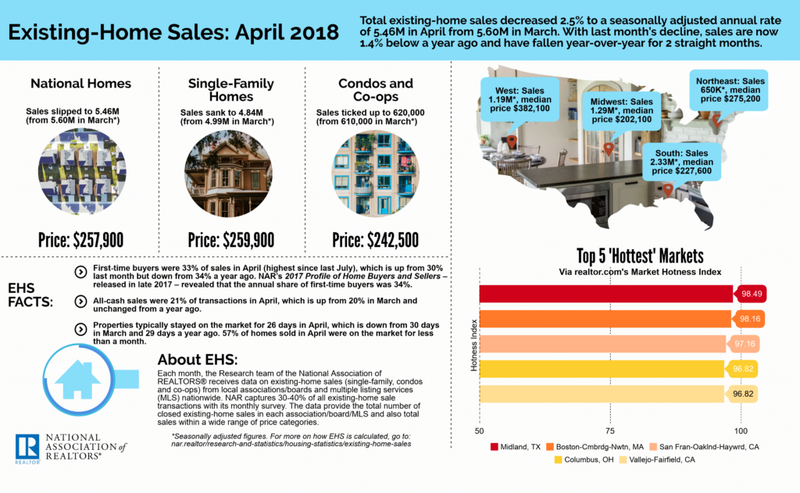 Existing homes sales fell 0.4 percent month-over-month to a seasonally adjusted annual rate of 5.43 million after declining last month too, due to low inventory, according to the National Association of Realtors. 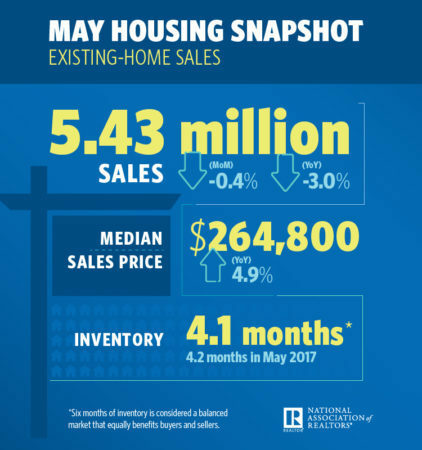 The median existing home price in May 2018 was $264,800, a record high and up 4.9 percent from $252,500 May 2017, according to the data. Year-over-year, the number of existing home sales also fell 3 percent, the third straight month of such a decline. May’s increase in the median existing home price marks the 75th straight month of year-over-year gains, according to NAR. Housing inventory shot up 2.8 percent to a total of 1.85 million existing homes, but that total is still below last May’s 1.97 million and has fallen year-over-year for 36 consecutive months, the report says. Properties that did hit the market typically stayed on the market for 26 days, unchanged from a month ago and one day sooner than May of last year. 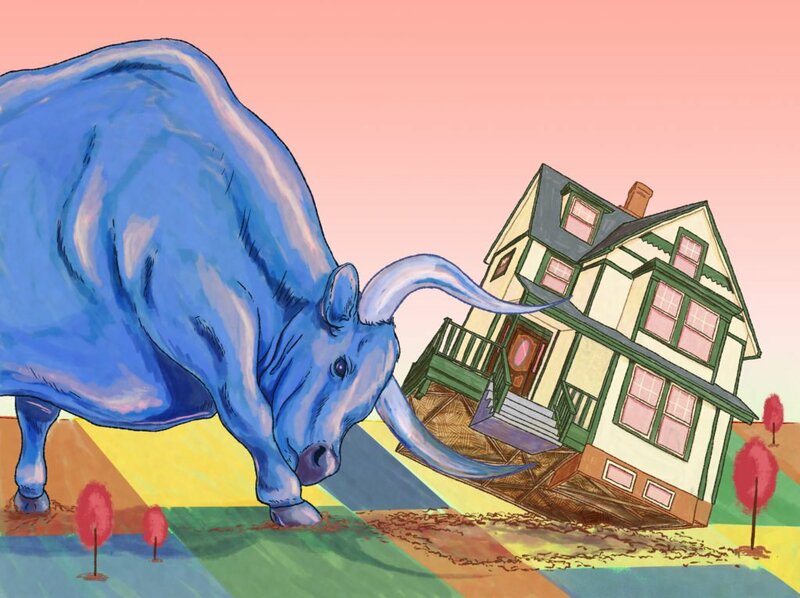 The high cost of homes is an impediment to first time homebuyers entering the market, according to Bill Banfield, Quicken Loans’ executive vice president of capital markets. There’s very little relief on the horizon, for the high-cost, inventory-strapped market according to Sam Khater, Freddie Mac’s chief economist. Home sales increased in the northeast, the only such region to see an uptick in sales. Despite the 4.6 percent month-over-month increase, home sales in the northeast were still down 11.7 percent versus last year. Existing home sales declined 2.3 percent in the midwest, 0.4 percent in the south and 0.8 percent in the west, month-over-month.